A subtle mix of contemporary and traditional folk songs music from both sides of the Atlantic. 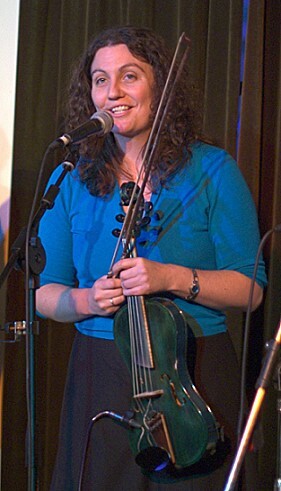 Kate is a fine singer and instrumentalist, best known as fiddler and vocalist for the North-east's 'Jez Lowe and the Bad Pennies' and the American band 'Sweetgrass'. She was brought up on the folk scene in Cornwall and has always kept a sense of traditional stories in her own writing, as well as covering contemporary songs from writers like Gene Richie and Jez Lowe and playing a wide range of tunes from the US and UK on cittern, guitar and violin.